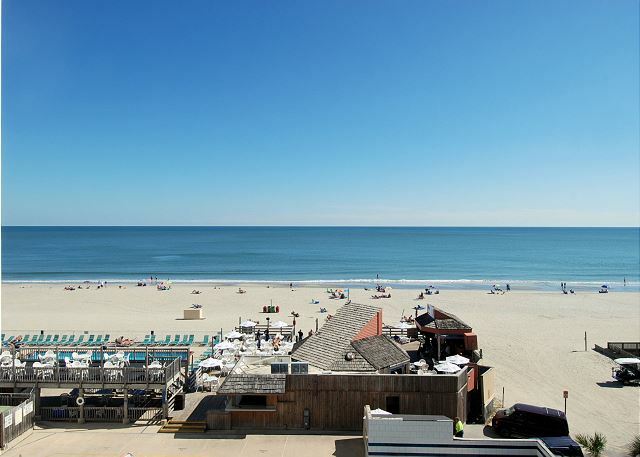 Sands Ocean Club, home to the famous Ocean Annie's Beach Bar and countless amenities. 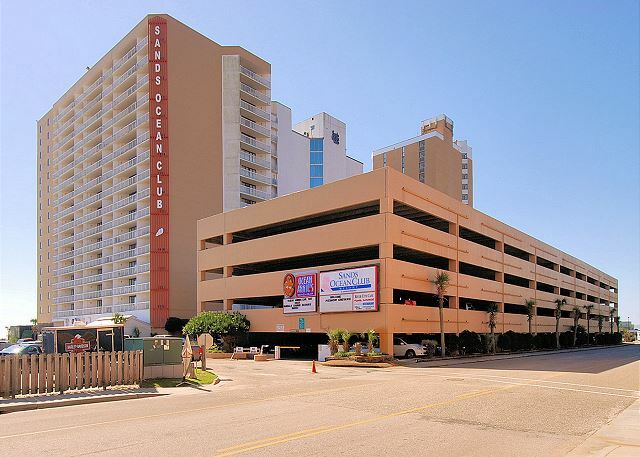 Parking deck at the resort. You will need to check into the resort after picking up your keys, you will receive your parking passes and swipe cards for the garage at the resort. Sands Ocean Club 537 Balcony View Oceanfront Outdoor Pool Ocean Annies Lazy River Sands Ocean Club Indoor Pool and Hot tub Sands Beach Club living room Open concept living/ dining space Prepare meals in your kitchen, or go out to eat at one of the resort's restaurants (open seasonally). 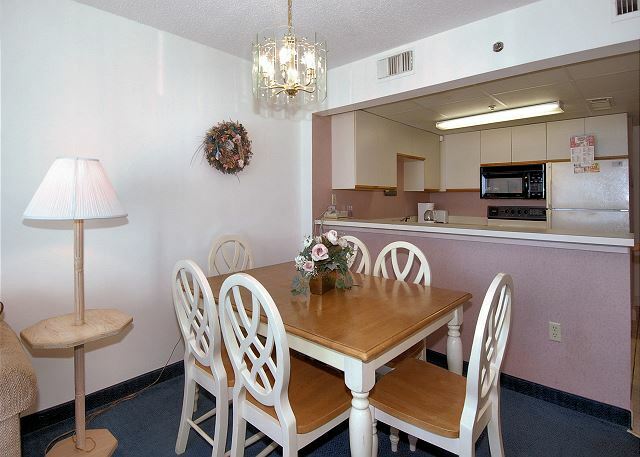 Dining Area This restroom has plenty of space to get ready to hit all the Myrtle Beach attractions. Separate vanity outside the restroom. Large bedroom with 2 double beds. 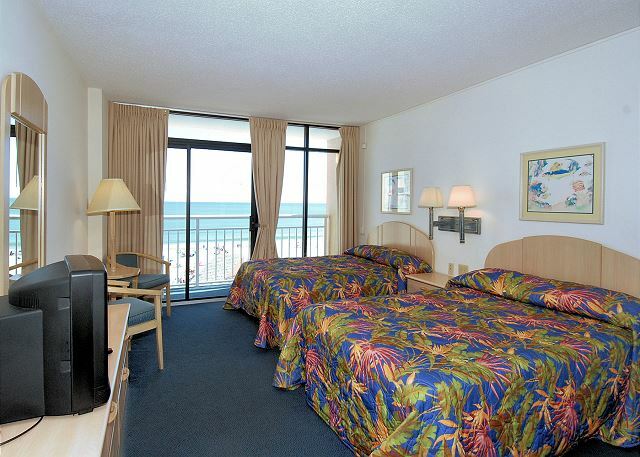 Bedroom #2 has a private entrance, private restroom, and oceanfront balcony. 2 double beds with an ocean view This is a lock out bedroom with a door separating the living, kitchen and other bedroom in 537. Master Bathroom One of the few units in Sands with a stack-able washer/dryer. There is also a coin operated facility on the 1st floor of the resort. Balcony overlooks Ocean Annie's. Listen to live entertainment from your balcony. View from balcony. 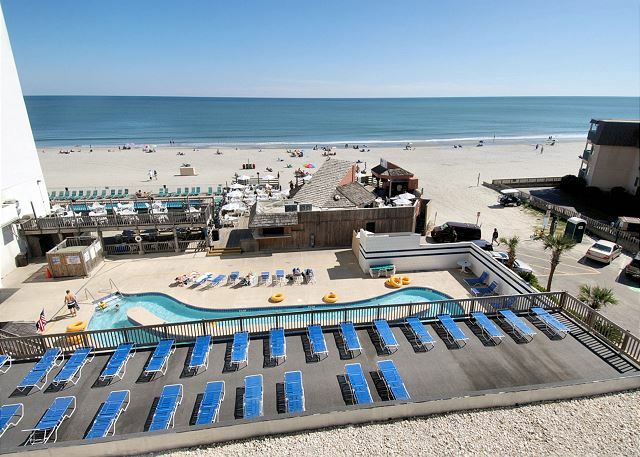 View from balcony, overlooking the sunning deck, lazy river, Ocean Annie's and the Atlantic Ocean! 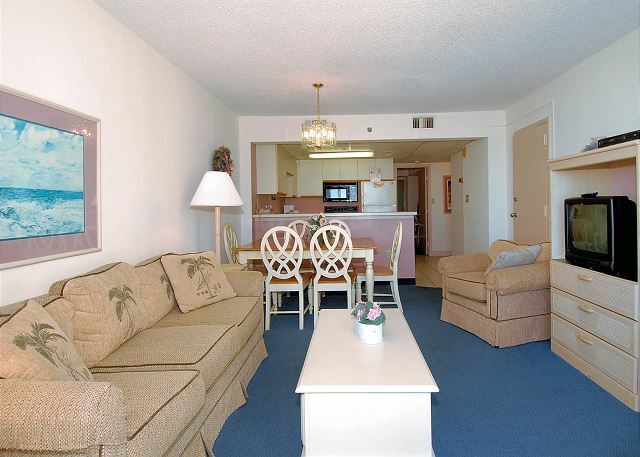 Budget friendly 2 bedroom condo in the Sands Ocean Club! 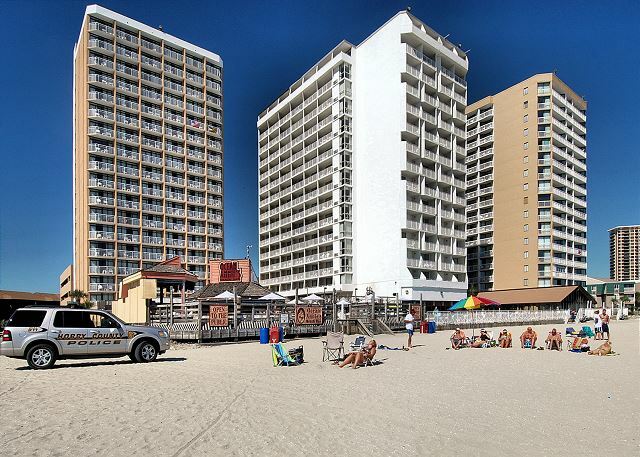 This condo is dated, but is a great spot for families, girls getaway's, golf vacationers, looking for a deal. 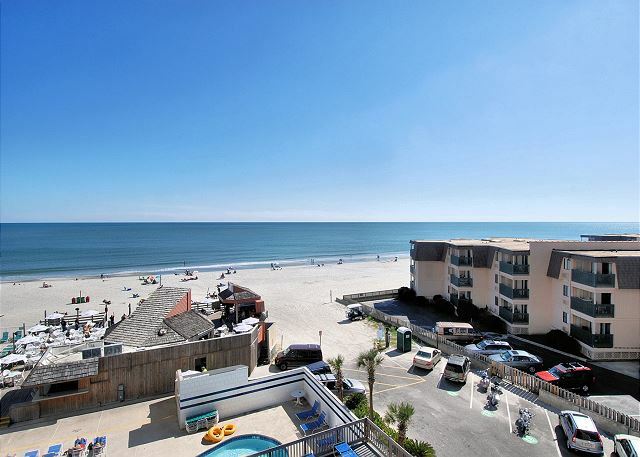 Sands 537 A&B is a 2 bedroom 2 bath oceanfront condo that has a fully equipped kitchen, washer/dryer and wireless internet. 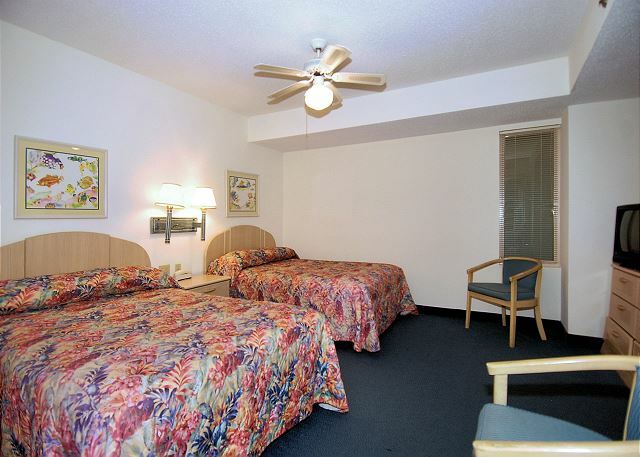 Both bedrooms have 2 full beds and can accommodate up to 8 people! There are 2 balconies and 2 separate entrances. 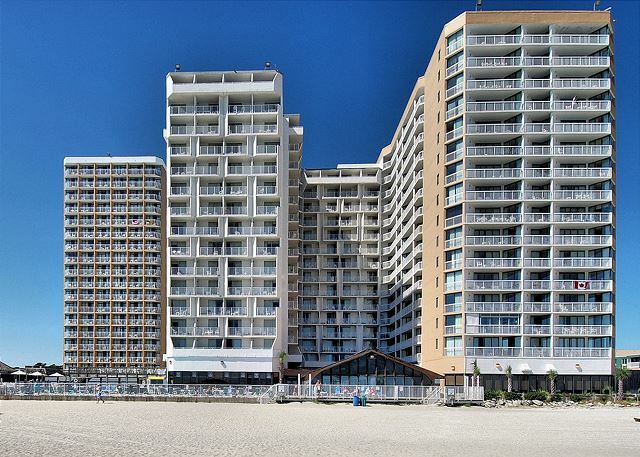 Both balconies are oceanfront and look over the lazy river, Ocean Annie's and the Atlantic Ocean. 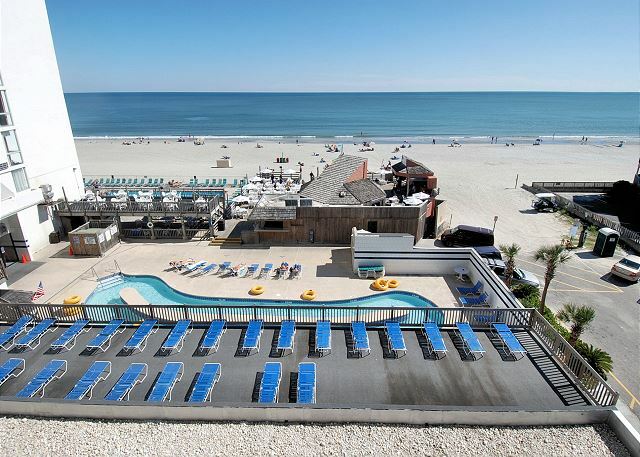 Home of the famous Ocean Annie's pool bar, Sands Ocean Club is located in the desirable Shore Drive area of Myrtle Beach! Indoor and outdoor swimming pools-lazy river. Sands Ocean Club is motorcycle friendly! Sands 537 has 4 parking passes for the parking garage and is non-smoking. Smoking is not allowed on the balcony. Great location but Outdated is understatement of the year! 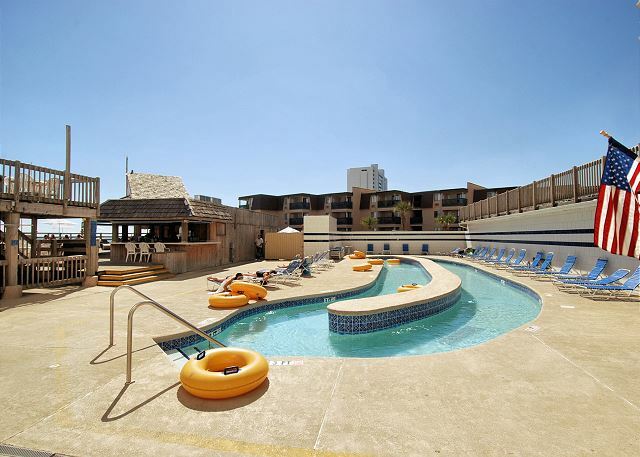 The location and resort amenities are as described. 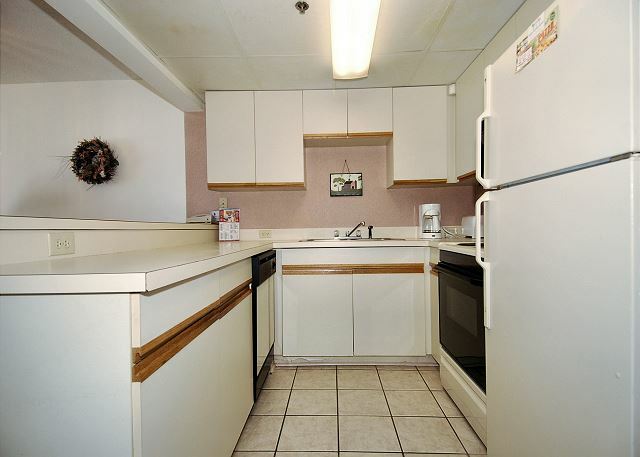 The condo needs some major work in the kitchen. One cupboard door is missing and many cupboards are cracking in various places. The microwave handle is almost broke off. At some point you have to put something back into it to continue making money. 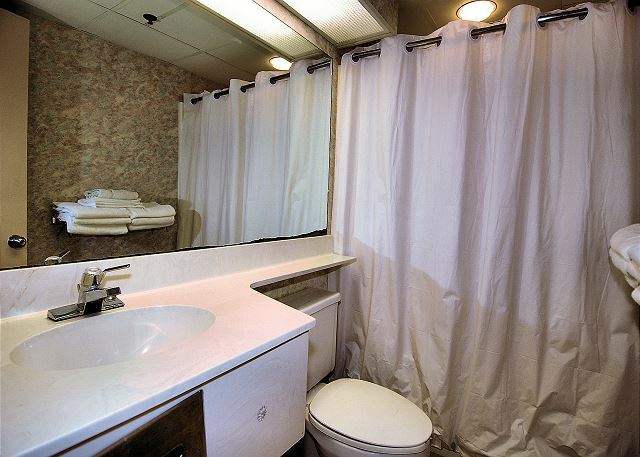 Beds are mediocre at best and the shower curtain in one bathroom was moldy. For the most part it was clean. We had a fantastic vacation. The property we rented is a little dated (the owner's acknowledge this), but everything is in fine working order and the location cannot be beat. I have rented 537 and 538 about 6 times. Great location. I will continue to go there. Very dated and in need of many repairs! Unit is very dated. Mattresses are terrible. Kitchen cabinet missing a door. Closet missing a door. Microwave handle broken. Not clean upon arrival.Great location. This rental was perfect during my stay. It even had toys for kids. The room was clean and neat and the view was beautiful! Will be returning soon. This was our first time at this resort. We loved the location. 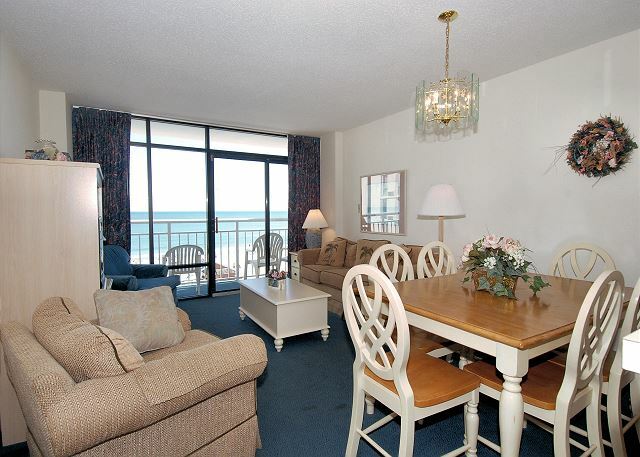 The rental unit had everything we needed, the space was wonderful and view of ocean great. The unit itself needed a little TLC. Was disappointed outdoor pools were not heated and because of time of year several amenities not open. The hall light outside the unit shined in the bedroom window all night! Dumpster for trash was not conveniently located. Choose this resort because of fitness room upon arrival was told it was not available for our use as advertised. Thank you Dana for your review. We are happy that overall you enjoyed your stay with us, despite some misunderstandings that took place. 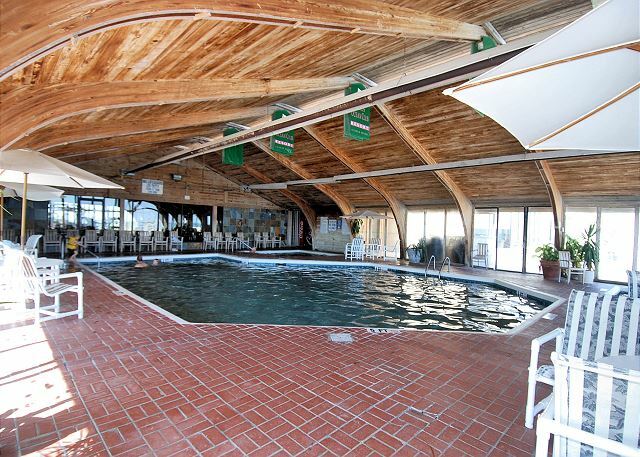 The indoor pool is heated, however the outdoor pools are not heated. 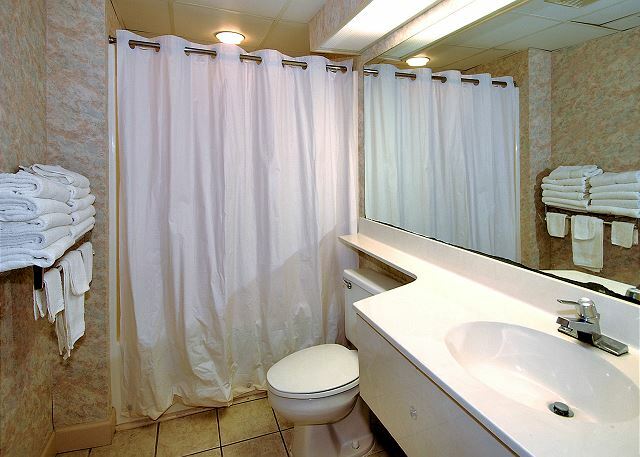 There is also several hot tubs and a sauna at this location. We agree the property could use a few upgrades, we advertise the property as budget friendly and it is priced accordingly. Thank you, it would be our pleasure to host you again. Great location and fun for the kids without the crowds. Awesome band everyday while you lay in the sun at the pool or the beach with a great drink. 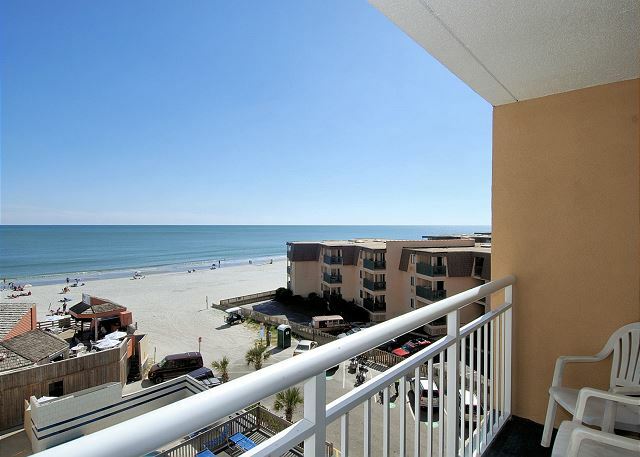 The condo unit is a little outdated and worn, but clean and has an amazing view with a ton of room. Please come and stay again. Thanks Jennifer. 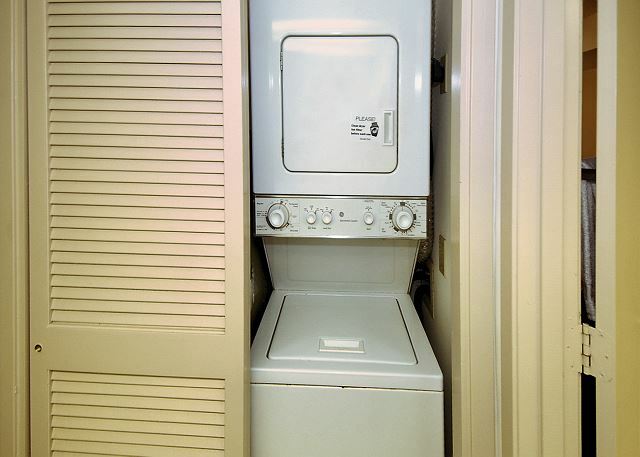 We enjoyed the convenience and location of the unit. Parking continues to be a problem at this complex so we spent a lot of time looking for parking space anytime we returned to the facility. As far as the unit itself, I had read earlier reviews that it was not cleaned very well. We found that it was clean, just not maintained very well. Torn carpet, loose cabinet doors, drawer handles, and needs paint. The customer service reps I dealt with at the rental agency and at the hotel were very helpful and pleasant. It was well. Great amenities, glad there were chairs & umbrellas for the beach. Although they were a little beat up. Pull out couch not too comfy however the kitchen was stocked & all appliances worked. We were unaware that we would have to wash our own towels & we could not switch them with the front desk, but we worked it out. Thanks for helping us make this a great weekend to remember. 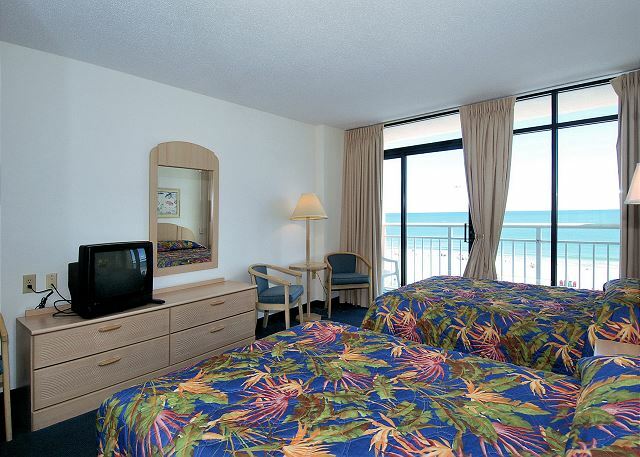 Thank you for choosing Southern Coast Vacations and Sands 537! My stay at Sands Ocean was the best! 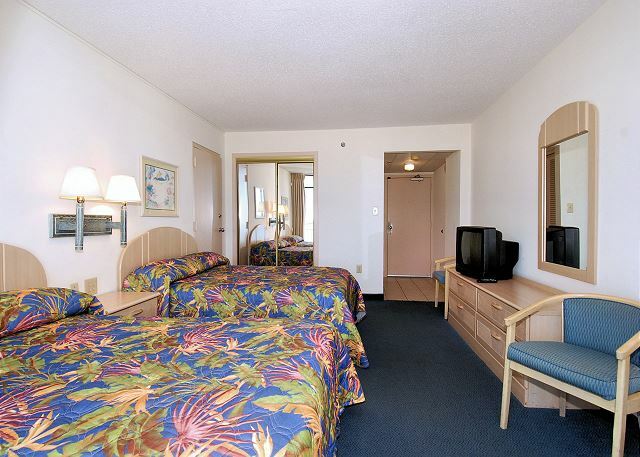 The room was very spacious and had everything there that I needed. Would definitely stay there again! 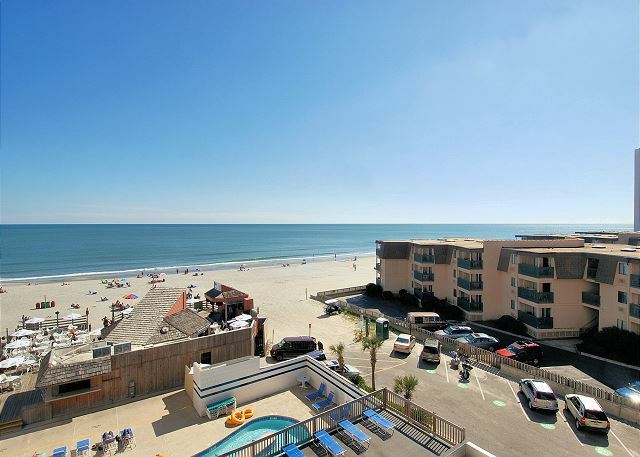 Thank you for staying with Southern Coast Vacations and Sands 537! We look forward to your staying with us again! Our girls weekend was very enjoyable. The check in was easy, our condo was clean and had everything we needed. The facility was as expected. 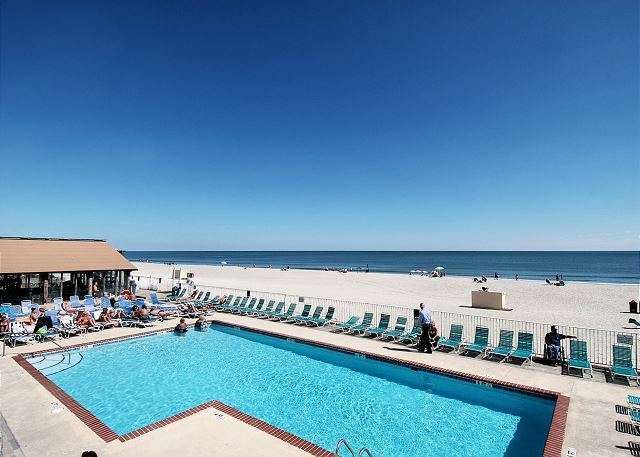 Thank you for choosing Southern Coast Vacations and Sands 537 for your girls weekend! Hope to see you next time you visit our area! Toilet in one bathroom wouldn't & refrigerator door handle was broken. BUT, we had a wonderful, wonderful time staying there! 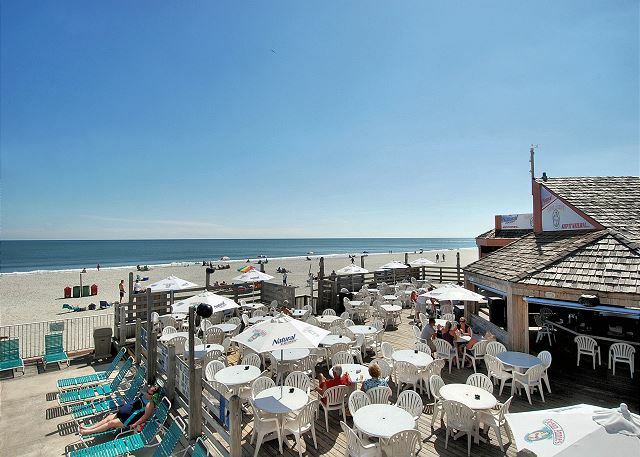 We recommend it to anyone looking to have a great time in Myrtle Beach!!! Thank you for staying with us! Hope you come back again!